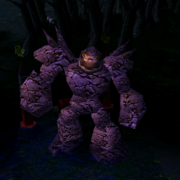 Dota 6.72e Map is now released. IceFrog has released DotA 6.72e hotfix patch shortly after v6.72d due to a dysfunctional Batrider's Firefly when there are no observers/referees in the game, everything else remains the same. It is recommended to download the fixed version DotA 6.72e to avoid this bug. Download the zip file and extract the map (.w3x file) in your "Warcraft 3\Maps\Download" sub-folder. Join DotA-Utilities on Facebook to get latest updates on your profile. That was one hell of a quick version update. This is Icefrog, i forgot only one thing to fixed, sorry i was in a hurry..lol. well GL! Remonq969 said Double kill ! no damage from firefly fucked my game!! in just 1 day 2 maps are released.. I HOPE 6.72e AI CAN release FAST LIKE THIS.. The 1 with 1st blood is a noob guy....!!!! can anyone tell me the new bug in 6.72e? nC... just dont stop making new map guys :) dota 4 ever!!! Hi Icefrog again. Yes, I've already thought about 6.73 and you will get to see 2 new heroes.. One Agility and One Intelligence. I'm thinking to call Intelligence hero as Highfather and Agility as New Genesis. thats one hell of a quick update! I Had a BuG like that...THE FIREFLY BUG in Batrider's skill... I can't press the Firefly or controll my Hero that time!! Hey is when WILL be DotA 2 relaesed??? what would be the nxt hero? i think it would be fun!!! !